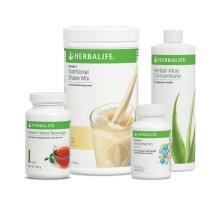 Herbalife Cell Activator To help your body absorb better nutrients. The blend of nutrients and plants in cell activator has been specifically designed to help support your utilisation of the nutritional value from the food that you can eat. It may also help your body to absorb and assimilate the nutrients in your diet more efficiently. It contains 3 important plants: chlorella, cordyceps, and artic root, all believed to support the body's capacity for coping with stress, It also contains three essential B -Vitamins for this purpose. By adding Cell Activator throughout the day, you can help ensure your body's production of energy stores is being supported and optimise your use of essential nutrients. Afresh - Energy Drink Whenaaaa feeling tired, one lacks motivation. This is most commonly as a result of a dip in energy levels. There are a number of ways which can be followed for making sure that this does not happen during the course of the day. Eating Herbalife energy boosters is of course a great way to ensure that your energy levels are kept at their peak all day long. However, in order to most efficiently boost your energy levels, a complete overhaul is needed for both mind and body. Eating healthier means becoming healthier as a result of a change in lifestyle. And so, in addition to incorporating eating energy boosters into your diet, try focus on detoxification, taking a cut in kilojoules, snacking often, and upping your vitamin intake; all of which can help you maintain the energy level you never dreamed of attaining. To get yourself out of the slum why not try Herbalife energy boosters which have been specifically developed with the aid of energy and fitness in mind. The benefit of these Herbalife Shapeworks energy boosters is that anyone can use them, whether they are professional athletes or enjoy an occasional visit to the gymnasium. For the reason that by exercising you increase the nutritional needs of your body, it is essential to consider filling up with the Herbalife products specialised as energy boosters which have been designed for increasing performance and support recovery after taking part in physical activity. If you like what you have read and would like to try out the Herbalife energy boosters. Gaurav kumar (M) +91-9716277307 All Herbalife Product available at Best price "Formula1 Nutritional Shake, F2-Multivitamin, Afresh, Cell U Loss, Cell Activator, Activated Fiber, Herbalifeline, Aloe Plus, Personalized Protein Powder in location : new delhi, uttam nagar, nariana, sangam vihar, janak puri, sahadra, vasant kunj, Mahipal pur, uttam nagar, vikas puri, laxmi nagar, newfriends colony, Greater kailash, mayur vihar, preet vihar, lodhi colony road, munirka, green park, aiims, jor bagh, pitam pura, wholesale distributor of weight gain and weight loss products in delhi. 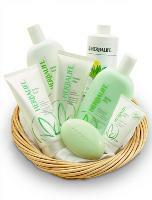 Gaurav kumar (M) +91-9716277307 Best Herbalife & Amway Weight Loss and Skin care Products Distributor in Delhi NCR. All Herbalife Product Available "Formula 1 Nutritional Shake, F2-Multivitamin Tablet, Afresh, Cell U Loss, Cell Activator, Activated Fiber, Herbalifeline, Aloe Plus, Personalized Protein Powder and herbalife Skin products in Delhi NCR..
Herbalife® Nutritional Shake Mix (Formula-1) 95 Million Customers and still going strong! The phenomenal weight control legend! The body needs balanced nutrition to perform optimally. It you want to safely and comfortably control or maintain your weight, formula 1, a meal replacement for weight control, can help you to reach your goals with long-lasting results. Create with advanced food technology, this specially formulated, unique blend of ingredients provides easily absorbed, high-quality soy proteins, carbohydrates, vitamins, minerals and dietary fibres. You can confident that every serving delivers delicious, satisfying, balanced nutrition. Formula 1 - Herbalife Nutritional shake Mix Delicious and nutritious Herbalife meal replacement shakes with all the goodness of a well balanced meal and a lot of soy protein. 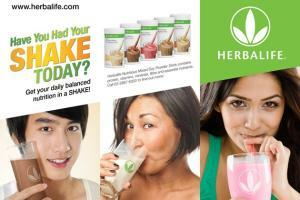 The nutritional shake offers you all the nutrition of a meal with the minimum amount of calories. Eating healthy does not mean depriving yourself! 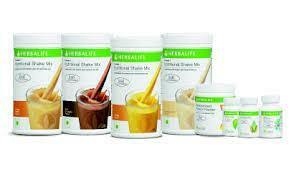 The Herbalife Formula 1 Nutritional Shake Mix comes in three mouth-watering flavours. This Herbalife Shapeworks product is scientifically formulated to give you the nutrition of a complete meal - satisfying your hunger and your taste buds for easier, healthier weight loss or weight maintenance.